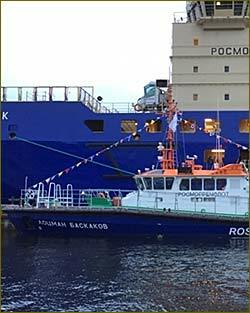 An acceptance / handover certificate was signed by FSUE Rosmorport, December 24 in St. Petersburg, Russia for a workboat "Pilot Baskakov," built at Yaroslavsky Shipyard. The commissioned vessel hoisted Russian Federation flag, Rosmorport said. Business news archive for 30 December' 2015.
Business news archive for December' 2015.